I was raised with geese as a child, my mom always had them and a few ducks. I liked the ducks way more than the geese, they didn’t beat me up. Even as an adult I like to photograph Canadian Geese but if they’re in a park and the path happens to go through their flock, I go way around. I know what the pinch from a goose can feel like, and much more, DO to you. They can deliver a blood blister like no one’s business and then come back at ya. In my head and heart, I alway swore I’d never own geese in my adult life – well, never say never. We had an unfortunate tragedy and are now down to seven. We lost a little goose we had named “Minnie May” and since she was the smallest and the frailest, I had thought that it was possible we would lose her. 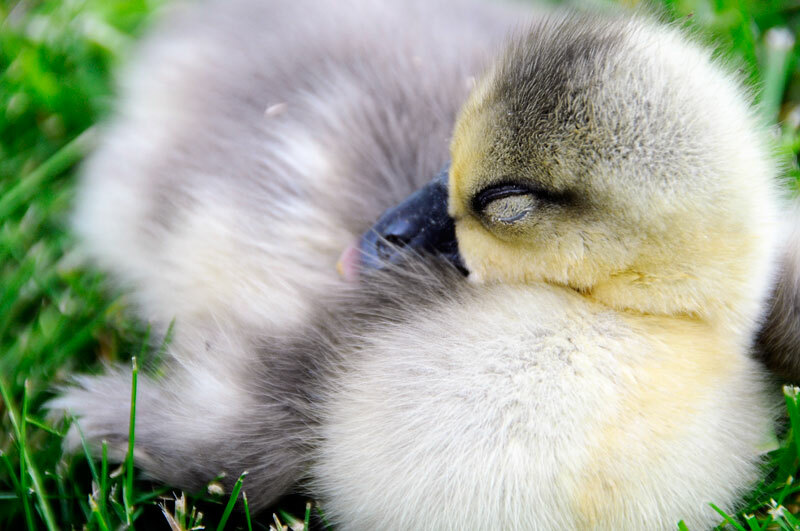 Annie found her, unfortunately, and had large tears – she has become the ultimate Goose Girl. 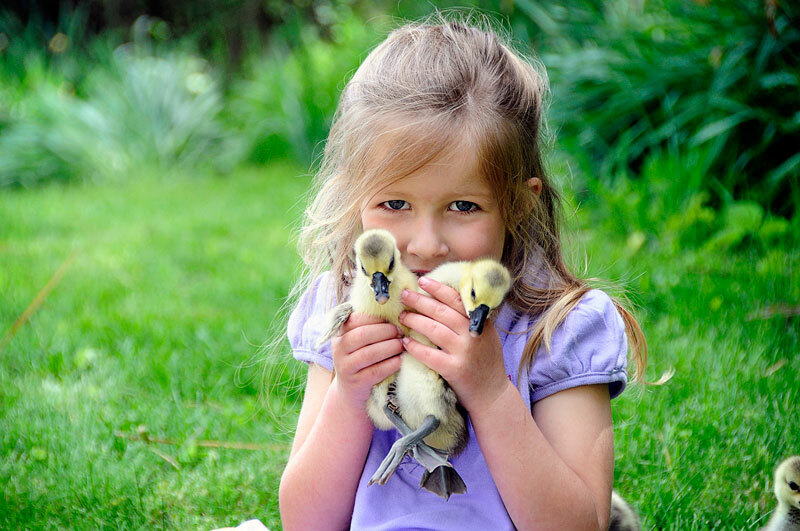 To see her with them, I am grateful my heart changed to accept geese back in to my life. Of course, I can say that now while they’re small – we’ll see how it goes when they’re big. Of course, who can resist such fuzziness anyway? We’re just full of peeps and giggles here at Mud Ranch. 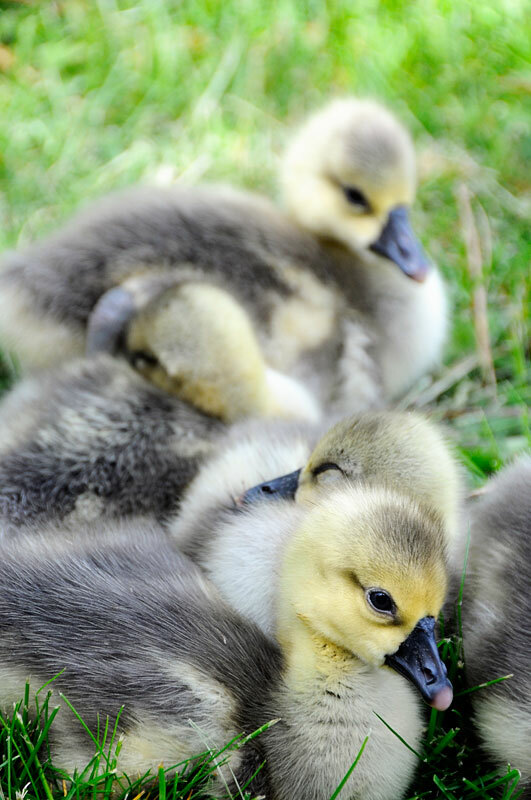 Posted on May 9, 2011, in Annie, Gardening, Life and tagged Brown Chinese, Geese, Weeder Geese. Bookmark the permalink. 9 Comments. Michelle – Thanks! 🙂 They’re brown chinese and are known for their weeding capabilities. Geese like fresh, new growth and tender shoots; perfect for nibbling up once the weeds sprout. They don’t eat the fruits like chickens because they like the grass and tender growth. Oops; forgot to check “notify” so I get your answer. They look so sweet in all of their fuzziness! Hopefully they stay that way 🙂 I had the same childhood experience as you did with geese. Annie looks like she is thoroughly enjoying them. That last photo is precious! Oh boy, you’re gonna have your hands full with Chinese. LOL, my mom has a pair. They are nice geese, but way beyond noisy……and that’s coming from someone with 100’s of birds. I will say that they did stay MUCH friendlier going into breeding season than any of my geese, but are now very protective of their nest.